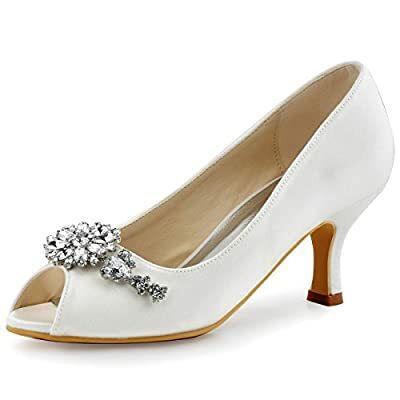 Adorable bridal shoes for women, peep toe comfort heel with sparkly rhinestones .Multi color to choose , ivory and white color are good choice as wedding heels, wedding shoes, navy blue ,pink ,green ,teal can be used as prom shoes, evening shoes ,bridesmaids shoes and heels for special occasion . Of course ,if you need different color and heels to match your dress, please contact us to confirm. 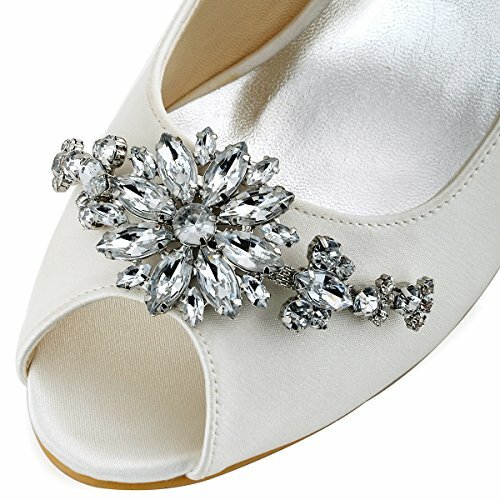 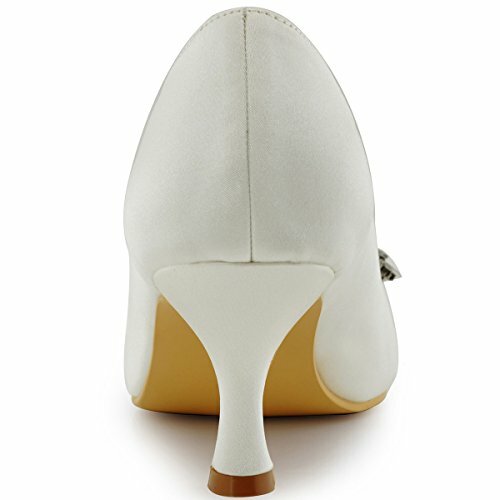 We provide custom-made service for these pumps to meet your special request, if you want different heels, or other different inquire, BEFORE YOUR ORDER, please contact our customer service and they will confirm and guide you how to make this special order, OTHERWISE will you still receive standard shoes and non-custom-made.